If you already take these supplements or have been wondering about them, bookmark this page to learn about how they can enhance workouts, and when and how much to take for maximum muscular results! Building muscle isn't just a question of "working out" or "dialing in nutrition." It's about finding the perfect symbiosis between both components, to help them feed off of each other. On the physical side, a well-designed workout program will systematically stress the body, giving your muscles a message they have no choice but to heed. You balance volume (how much you train), intensity (how hard), and frequency (how often), trying to maximize each one without detracting from the others. When muscles are stressed systematically like this, they adapt, and performance increases. Nutrition is another variable that's essential for getting the most out of every single workout—and by extension, for maximizing gains over the long haul. Several supplements have been scientifically proven to increase the rate at which you can develop strength and power from workout to workout. Taking the right amounts at the right time times can boost workout intensity and volume, which leads to high-quality muscular gains. Here's the science behind key muscle-boosting supplements. I've organized them in terms of pre- and post-workout, because these are the most-studied times in the lifter's life—and the ones where most of us are accustomed to taking supplements. If you're looking to get systematic about your nutrition, it's a great idea to start ritualizing your behavior at these times. In the hour prior to training, you should be focused on priming your internal environment for hard physical—and mental—work. Therefore, pre-workout supplementation should optimize your mind and body to maximize performance. If you are already using a pre-workout formula, great! But be sure the product you choose contains the ingredients below, in the recommended dosage. Caffeine is a powerful psychoactive and nervous-system stimulant that is rapidly absorbed by your body and easily crosses into your brain. Once there, caffeine attaches to specific receptors which another neurotransmitter, adenosine, also utilizes. When you take a dose of caffeine, it blocks adenosine, and also blocks the "mellowing" effects that adenosine normally produces. In the end, the caffeinated brain is full of adrenaline and noradrenaline, which produces feelings of energy. But that's just the beginning of what caffeine does in the body. It also blocks an enzyme called phosphodiesterase (PDE) which breaks down a signaling molecule called cyclic adenosine monophosphate (cAMP). Since caffeine blocks PDE, cAMP levels build up, which prolongs and intensifies the energizing effects of the hormones adrenaline and noradrenaline. Through these mechanisms and others, pre-workout caffeine supplementation dampens perceived exertion and muscle fatigue during exercise. [1,2] Its benefits also extend into recovery, positively affecting your perception of muscle soreness. The end result in both cases is higher workout intensity and volume, resulting in greater gains in a shorter time. How to Use: Take somewhere around 1.36 milligrams of caffeine per pound of body weight, 30-60 minutes before training. For most adults, that’s about 180-300 milligrams of caffeine. More is not always better. In fact, as with most stimulants, the benefits of caffeine diminish if more than an optimal dose is taken, so avoid taking more than 2.5 milligrams of caffeine per pound of body weight. Asses your tolerance, and dose accordingly. With over a quarter century of clinical testing in the lab and field testing in gyms around the world, creatine has stood both the test of time and the rigors of science. Creatine is rapidly taken up and stored in skeletal muscle, where it provides much-needed high-energy creatine phosphate. Having a surplus of creatine phosphate around provides working muscles with extra substrates for the production of ATP, the cellular energy source the body uses for muscle contraction. Having elevated creatine levels promotes increases in strength and power during workouts, with less time needed for rest. This is particularly important during maximal or high-intensity training, which is one reason creatine supplementation has consistently been shown to help increase training volume—sustaining your ability to lifter heavier loads for more reps, and to recover more quickly between high-intensity sets. There's a lot of conjecture and not much research into creatine timing. "Whenever" is an OK option, but "before and after your workout" is considered by many lifters to produce superior results over time. It has also been linked to slightly better results in some research. How to Use: Take 1.5 grams of creatine HCl 30-60 minutes before training, and another 1.5 grams post-workout. L-citrulline, a common pre-workout ingredient, helps prevent muscle fatigue and helps in the production of energy by increasing the rate of phosphocreatine and ATP production. L-citrulline also converts to arginine, a precursor to nitric oxide (NO), in the body. NO optimizes blood flow, nutrient delivery, and waste removal in working muscles. Research shows that pre-workout L-citrulline increases blood levels of arginine and NO more effectively than arginine ingestion on its own. [9,10] Based on the most recent research, pre-workout citrulline combats exercise fatigue, increases time to exhaustion, and substantially decreases muscle soreness during your workouts. How to Use:Compounds of citrulline, like citrulline malate, are passable, but remember, you will get less citrulline per gram—as much as 50-percent less—because it is bound to malic acid (i.e., malate). If you're looking to reap the benefits of citrulline, why not just focus on the powerhouse ingredient? I recommend hard-training men and women take 6.5 grams of L-citrulline 30-60 minutes before training, and possibly another 3 grams intra-workout during intense training. Beta-alanine is another research-backed powerhouse that has been shown to boost muscle carnosine levels over several weeks. Elevated muscle carnosine levels increase muscle energy and endurance by buffering skeletal muscle acidity that accumulates during prolonged high-intensity exercise. The end result? Science shows that taking beta-alanine can help you push harder for longer during your workouts. In the end, you will benefit from greater workout intensity and volume—which translates to greater gains! How to Use: The research on patented CarnoSyn beta-alanine suggests that you can reap the greatest benefits consuming 3.2 grams per day. For optimal results and to eliminate the (harmless) skin tingle that comes from taking a single large does, I recommend consuming 1.6 grams of patented CarnoSyn beta-alanine 30-60 minutes prior to training, and 1.6 grams during your workout. Also known as trimethylglycine, one of betaine's main roles is to methylate, or transfer methyl groups, to various molecules in the body. Methylation is important for several biochemical processes, including protein synthesis, which is necessary for muscle building. Overall, betaine supplementation has been shown to improve muscular endurance at high power output, support cell hydration, and lower homocysteine levels. [13-14] High levels of homocysteine can decrease protein synthesis, which can lead to fat gain and muscle loss. In a paper published in the Journal of the International Society for Sports Nutrition, resistance-trained men who received a betaine supplement for six weeks saw improved body composition, muscle size, work capacity, and improved power versus those taking a placebo. How to Use: I recommend using patented BetaPower natural betaine. Take 2 grams of betaine 30-60 minutes before training, and 2 grams post-workout. 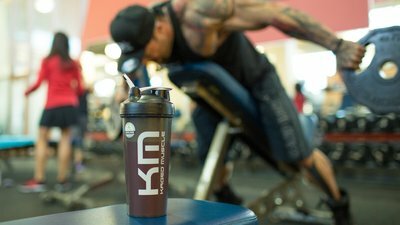 The BCAAs of leucine, isoleucine, and valine are stored in skeletal muscle, where the body consumes them to produce energy during heavy, time-intensive exercise. Blood leucine levels are known to decline by about 30 percent during strength training and 11-33 percent during fat-burning cardio sessions. Pre-workout BCAA supplementation tops off blood amino acids that get consumed during your workout, sparing the BCAAs stored in your muscles. Having elevated blood BCAAs pre-workout has been shown to decrease fatigue and ratings of perceived exertion, enabling you to focus and push harder during intense training sessions. How to Use: To energize your workouts use a formulation with a leucine:isoleucine:valine ratio of at least 2:1:1. In other words, there should be at least twice as much leucine compared to the other aminos. Take 5-10 grams of BCAAs 30-60 minutes before training, and sip on another 5 grams during intense sessions. You are exhausted, your muscles are screaming for nourishment and they're primed for nutrient delivery and absorption. The post-workout period is one of the most crucial opportunities for elevating protein synthesis and maximizing growth and recovery. Whey protein isolate is ideal for recovery, as it contains high levels of BCAAs and promotes a spike in blood insulin levels post-workout. Elevating insulin post-workout enables greater shuttling of glycogen and nutrients into fatigued muscle, promoting faster and greater recovery. While some lifters suggest taking fast sugar sources to boost insulin after training, this approach is unnecessary if you use a quality whey protein isolate. How to Use: For best results, take 20-30 grams of whey protein isolate immediately after training, preferably in a formulation that includes ProHydrolase proteolytic enzymes to help with digestion. The post-workout period is the ideal time to take a second serving of creatine HCl. Taken with whey protein isolate and proteolytic enzymes, you have set up the perfect environment for rapid creatine absorption and replenishment. How to Use: Take 1.5 grams of creatine HCl immediately after training. How to Use: Take 2 grams of betaine immediately after training. Dash, A. K., Miller, D. W., Huai‐Yan, H., Carnazzo, J., & Stout, J. R. (2001). Evaluation of creatine transport using Caco‐2 monolayers as an in vitro model for intestinal absorption. Journal of Pharmaceutical Sciences, 90(10), 1593-1598. Powers, M. E., Arnold, B. L., Weltman, A. L., Perrin, D. H., Mistry, D., Kahler, D. M., ... & Volek, J. (2003). Creatine supplementation increases total body water without altering fluid distribution. Journal of Athletic Training, 38(1), 44. Miller, D. W. (2009). Oral bioavailability of creatine supplements: Is there room for improvement. In Annual Meeting of the International Society of Sports Nutrition. Bailey, S. J., Blackwell, J. R., Lord, T., Vanhatalo, A., Winyard, P. G., & Jones, A. M. (2015). L-citrulline supplementation improves O 2 uptake kinetics and high-intensity exercise performance in humans. Journal of Applied Physiology, 119(4), 385-395. Hobson, R. M., Saunders, B., Ball, G., Harris, R. C., & Sale, C. (2012). Effects of beta-alanine supplementation on exercise performance: a meta-analysis. Amino Acids, 43(1), 25–37. Bloomer, R. J., Farney, T. M., Trepanowski, J. F., McCarthy, C. G., & Canale, R. E. (2011). Effect of betaine supplementation on plasma nitrate/nitrite in exercise-trained men. Journal of the International Society of Sports Nutrition, 8(1), 5. Hoffman, J. R., Ratamess, N. A., Kang, J., Rashti, S. L., & Faigenbaum, A. D. (2009). Effect of betaine supplementation on power performance and fatigue. Journal of the International Society of Sports Nutrition, 6(1), 7. Mero, A. (1999). Leucine supplementation and intensive training. Sports Medicine, 27(6), 347-358. Greer, B. K., White, J. P., Arguello, E. M., & Haymes, E. M. (2011). Branched-chain amino acid supplementation lowers perceived exertion but does not affect performance in untrained males. The Journal of Strength & Conditioning Research, 25(2), 539-544. Bilsborough, S., & Mann, N. (2006). A review of issues of dietary protein intake in humans. International Journal of Sport Nutrition and Exercise Metabolism, 16(2), 129-152. Pitkanen, H. T., Nykanen, T., Knuutinen, J. U. H. A., Lahti, K. A. I. S. A., Keinanen, O., Alen, M. A. R. K. K. U., ... & Mero, A. A. (2003). Free amino acid pool and muscle protein balance after resistance exercise. Medicine and Science in Sports and Exercise, 35(5), 784-792. Nilsson, M., Holst, J. J., & Björck, I. M. (2007). Metabolic effects of amino acid mixtures and whey protein in healthy subjects: studies using glucose-equivalent drinks. The American Journal of Clinical Nutrition, 85(4), 996-1004. Burke, D. G., Candow, D. G., Chilibeck, P. D., MacNeil, L. G., Roy, B. D., Tarnopolsky, M. A., & Ziegenfuss, T. (2008). Effect of creatine supplementation and resistance-exercise training on muscle insulin-like growth factor in young adults. International Journal of Sport Nutrition and Exercise Metabolism, 18(4), 389-398. Saremi, A., Gharakhanloo, R., Sharghi, S., Gharaati, M. R., Larijani, B., & Omidfar, K. (2010). Effects of oral creatine and resistance training on serum myostatin and GASP-1. Molecular and Cellular Endocrinology, 317(1), 25-30. Olthof, M. R., & Verhoef, P. (2005). Effects of betaine intake on plasma homocysteine concentrations and consequences for health. Current Drug Metabolism, 6(1), 15-22. Cholewa, J. M., Wyszczelska-Rokiel, M., Glowacki, R., Jakubowski, H., Matthews, T., Wood, R., ... & Paolone, V. (2013). Effects of betaine on body composition, performance, and homocysteine thiolactone. Journal of the International Society of Sports Nutrition, 10. Lee, E. C., Maresh, C. M., Kraemer, W. J., Yamamoto, L. M., Hatfield, D. L., Bailey, B. L., ... & Craig, S. A. (2010). Ergogenic effects of betaine supplementation on strength and power performance. Journal of the International Society of Sports Nutrition, 7(1), 27.